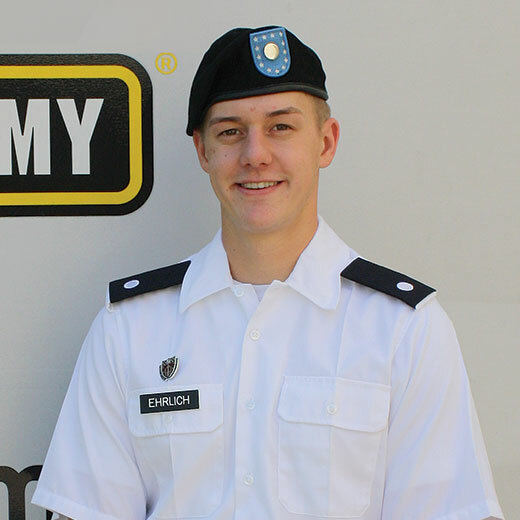 During your freshman and sophomore years, you typically take what Army ROTC calls the Basic Course. These are electives beyond your major plan of study. It normally involves one elective class and lab each semester. You learn leadership fundamentals, basic military skills, and start the groundwork toward becoming a leader in the Army and/or your chosen profession. Remember, you can take Army ROTC’s Basic Course without a military commitment. Coursework builds character, intellect, and your physical presence—how you carry yourself and your physical fitness. You’ll gain valuable interpersonal communication and decision-making skills designed to help you lead, develop others, and achieve results. You’ll also learn about Army roles, structure, customs, and traditions, as well as military operations and tactics. During your military science third and fourth year, you take the Advanced Course as electives. This is in addition to courses within your declared major. Entering the Advanced Course requires a commitment to serve as an Officer in the U.S. Army upon graduation. Generally, you can expect to take one elective class and lab each semester, plus attend Advanced Camp during the summer. Coursework builds on the leadership fundamentals you achieved during the Basic Course. In the Advanced Course, you study higher-level military tactics and gain practical experience in team organization, planning, and decision-making. Completion provides you with a Leadership in Military Science minor from the School of Physical Education and Tourism Management. After you earn your bachelor’s degree from the program of your choice (typically at the same time), you’ll be prepared to fulfill your Army, Army Reserves, or National Guard service requirement. Between your third and fourth years, you likely will join other Army ROTC students from across the U.S. at Fort Knox, Kentucky. This four-week summer experience enhances your training and provides the cadre with knowledge of your skills and abilities. IUPUI is one of the best schools in the nation for getting experiential learning. There are always opportunities for us students to get hands-on training. No worries. The Army offers Basic Camp to incoming juniors who wish to join. This course, made up of four phases, allows you to catch up. The first phase introduces you to the Army and prepares you for the next three phases of team building, leadership development, and field training exercises. Have questions about your specific situation or the curriculum?